[Bram], a 17-year-old robot fan from the Nertherlands, had an opportunity to watch a RoboCup soccer match played by autonomous robots, and was inspired to create his own Mindstorms version of the robot for a school project. 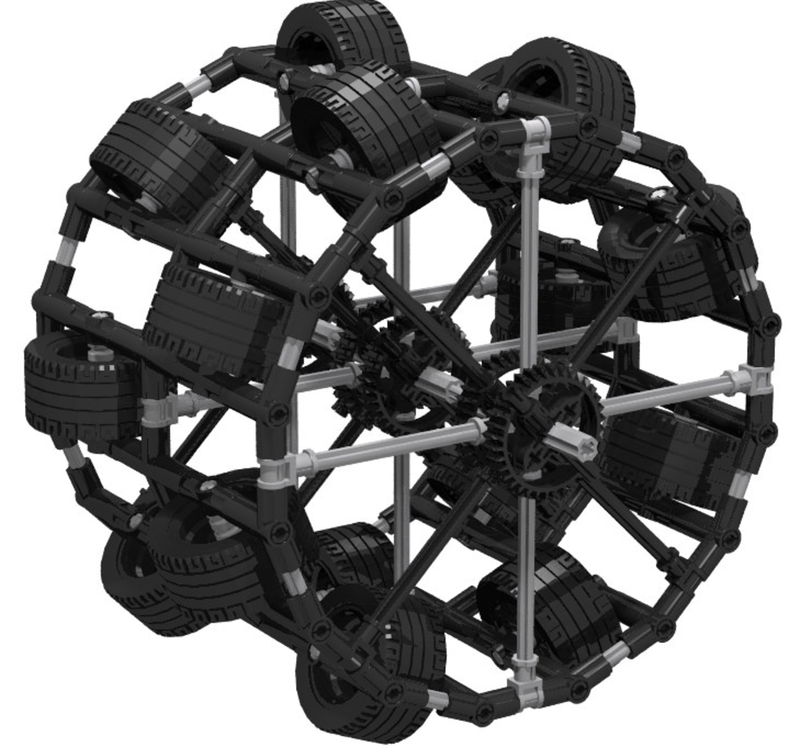 The robot he created is around 80 cm in diameter and is controlled by four daisy-chained EV bricks. There are nine large motors for controlling the wheels, two more large motors for grabbing the ball, and two medium motors for the ball-shooting mechanism. It uses a Pixycam for ball detection, and it can identify and move toward the ball so long as it’s within 2.5 m. A gyro sensor determines the robot’s rotational direction. Our favorite detail of the robot is its giant omni wheels, constructed out of LEGO elements. Each one consists of sixteen Mindstorms-standard wheels arranged in a circle, with an offset double row of rollers to give the same angled effect as a Mechanum wheel’s rollers. This story has even geekier roots. [Bram]’s robot was based off of the Turtle, a soccer-playing robot used to teach programming to college students. Like [Bram]’s creation, they also have omni wheels, and see with a Kinect as well as a 360-degree camera up top that uses a parabolic mirror to keep an eye on its surroundings. The Turtle uses a compass sensor to distinguish its goal from the opposing team’s goal. We’ve covered soccer bots in the past, watch a soccer-playing robot score on a human goalie. “…17-year-old robot fan from the Nertherlands…” *Netherlands. You misspelled “mecanum”, and that’s not even a mecanum wheel, or angled like one. It’s a cool design for an omniwheel, though (given the limitations of Legos).